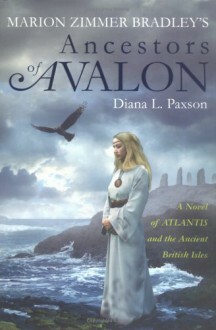 Once again, Diana L. Paxson has beautifully elaborated on Marion Zimmer Bradley’s beloved Avalon saga with this dramatic new installment, which for the first time reveals the past of the ancestors of Avalon, from their beginnings on the doomed island of Atlantis to their escape to the mist-shrouded isle of Britain. It follows the extraordinary journey of two powerful women whose destinies will shape the fates of their physical and spiritual descendants: Tiriki, a high priestess exiled by the fall of Atlantis, torn between the claims of love and duty, and Damisa, a young acolyte of royal blood, tempted by ambition to forsake her spiritual path. Hints of this mysterious past have haunted all the novels of Avalon, but until now the full sweep of this rich history has not been revealed. Dramatic, peopled with the remarkable women who have always inhabited Avalon, and set in a world of enchantment that will sweep readers to a richly imagined time and place, Marion Zimmer Bradley’s Ancestors of Avalon is another spectacular epic that is sure to please Bradley’s many ardent readers.